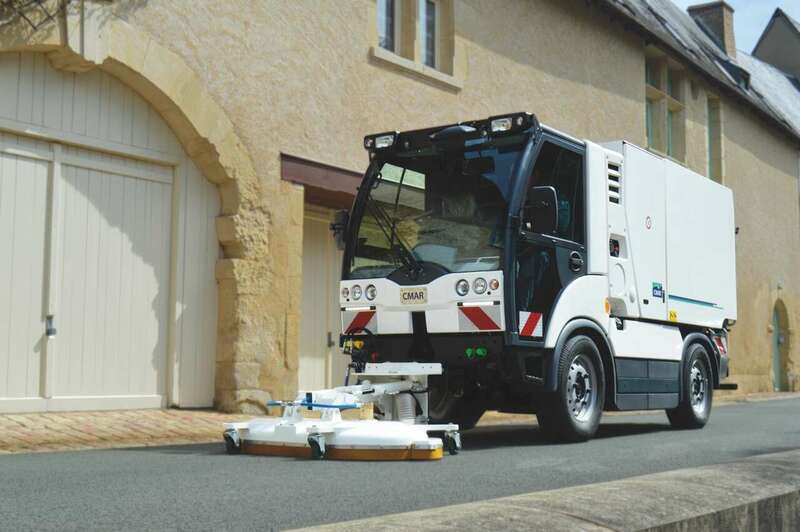 The CMAR NC 286R is the market reference for compact street cleaners, it was the first to feature cleaning water suction.The CMAR NC 286R has a suction system that collects the water and all the dirt cleaned off by the high pressure and hot water. The CMAR NC 286R is fitted with the latest CMAR technology and know-how providing exceptional ecological (water savings) and economic performances (low fuel consumption). As soon as it has passed, everything has been absorbed leaving the surface dry and clean, making it possible for it to be used in outdoor and indoor environments. The vehicle is fitted with a hydrostatic drive compact vehicle, 4-wheel drive and 4 directional wheels, differential and inter-bridge locking. Dry passage after its passage thanks to its suction system. 50% energy savings thanks to the use of a single boiler. 30% water savings using a single passage without rinsing. Indoor work possible (for example industrial buildings, car parks...), in retail zones at any time of the day, in all circumstances.